Advanced Beauty Tools is 100% Cruelty Free and Vegan! Arbonne is 100% Cruelty Free and Vegan! Beauty Without Cruelty is 100% Cruelty Free and Vegan! Be Fine Food Skin Care is 100% Cruelty Free and Vegan! blinc inc. is 100% Cruelty Free and Vegan! Dark Heart Designs is about 95% Cruelty Free and Vegan, please check the color before purchasing. At this time, Toxic and Vampire Heart are NOT vegan. Duprey Cosmetics is 100% Cruelty Free and Vegan! EcoTools brushes are 100% Cruelty Free and Vegan! All E.L.F. Cosmetics are 100% Cruelty Free and Vegan! Some Bath & Body products are not. Emani Minerals is 100% Cruelty Free and Vegan! Everyday Minerals is 100% Cruelty Free and Vegan! Furless is 100% Cruelty Free and Vegan! Fyrinnae is 100% Cruelty Free and Vegan! Illuminare Cosmetics is 100% Cruelty Free and Vegan! INIKA is 100% Cruelty Free, EXCEPT LIP WHIP. Killer Cosmetics is 100% Cruelty Free and Vegan! Kett Cosmetics is 100% Cruelty Free and Vegan! Manic Panic Collection is 100% Cruelty Free and Vegan! Motives Cosmetics is 100% Cruelty Free and Vegan! Mystic Zen is 100% Cruelty Free and Vegan! Nubar is 100% Cruelty Free and Vegan! Obsessive Compulsive Cosmetics is 100% Cruelty Free and Vegan! Pink Quartz Minerals is 100% Cruelty Free and Vegan! Sevi Cosmetics is 100% Cruelty Free and Vegan! Shiro Cosmetics is 100% Cruelty Free and Vegan! SpaRitual is 100% Cruelty Free and Vegan! Please see the Tarte Cosmetics “Vegan” Section for their 100% Cruelty Free Options. Zoya is 100% Cruelty Free and Vegan! ZuZu Luxe is 100% Cruelty Free and Vegan! *While this list contains cosmetics that are animal cruelty free, it does not make any claims about the potentially harmful ingredients in the products. To check on the ingredients of an item, visit the Environmental Working Group’s Skin Deep Cosmetic Safety Database. Quick Tips for Long Lasting Lips! 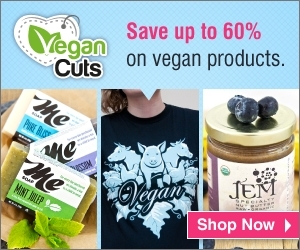 100% Vegan Companies + who is testing on animals! Nikki on 100% Vegan Companies + who is testing on animals! Helen on 5 Cruelty Free Vegan Things I ADORE! MandyMcKenna on 100% Vegan Companies + who is testing on animals! Jennie on 100% Vegan Companies + who is testing on animals! Anonymous on New Video; 5 Vegan, Cruelty Free products I LOVE!